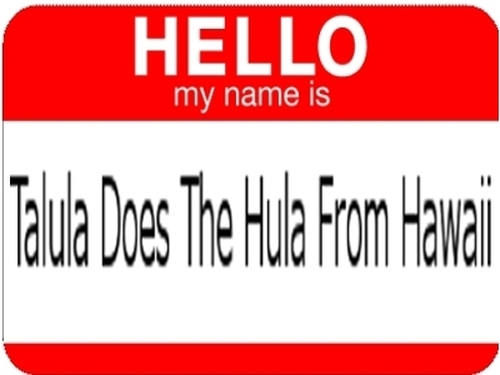 A New Zealand judge has ordered a name change for an embarrassed nine-year-old girl called ‘Talula Does The Hula From Hawaii’. The girl was so embarrassed that she had not revealed the name given by her parents to friends, who simply knew her as K.
Family court judge Rob Murfitt said in a judgment released today that oddball monikers created social hurdles as children grew up. ‘She fears being mocked and teased and in that she has a greater level of insight than either of her parents,’ he said of the girl. children some other unusual names including Number 16 Bus Shelter and Midnight Chardonnay, both of which may relate to the conception of the child. One child was named Violence and two pairs of twins were called Benson and Hedges and Fish and Chips. The children from another family were all named after six-cylinder Ford cars.